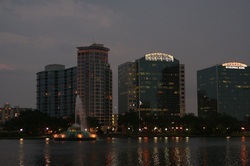 Downtown Orlando as seen from Lake Eola. Each year, almost 52 million visitors come to our city to shop and visit the theme parks. Many leave without ever truly knowing this city we call home. So we have decided to do something about it. 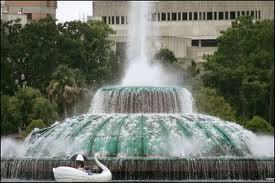 Southern Ghosts proudly presents Orlando's Historic Walking Tours. We invite you to come and hear the story of Orlando's rich heritage from it's founding during the Seminole Indian War to our current position as the #1 Vacation Destination in the World. Find out how we have more in common with the Old West than the South. Get a unique overview of the City Beautiful. 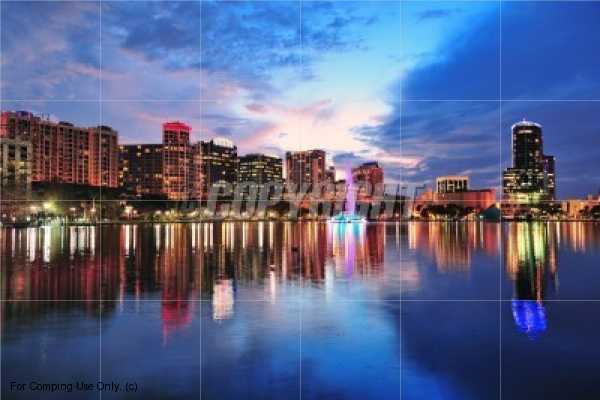 Orlando's Historical Walking Tour is the best way to get acquainted with our fair city, and a wonderful introduction that will have you walking the streets like a native. 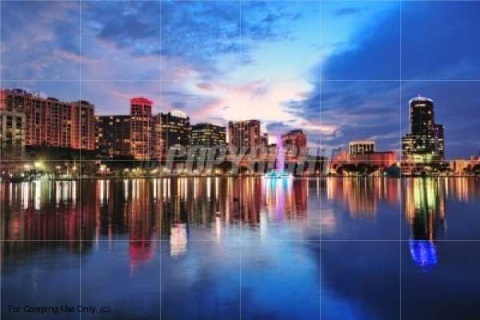 A great 90 minute introduction to the fascinating history of Orlando, Fl. 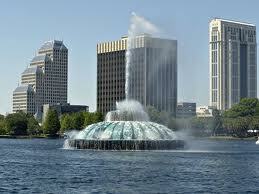 This tour is the best way to see the history and culture of Orlando, from our humble beginnings to the present. You’ll walk the streets with an experienced guide who'll answer your questions, and when you leave you will truly understand our city. Whether you are here on vacation or just want to learn our history, this is the tour for you. Our tour is great for class field trips and senior groups. Come and let us introduce our city to you. Our tour begins on the corner of Orange Avenue and Church Street and ends at the Orange County Regional History Center. The tour is an easy 90 minute walk. Reservations are required. To make a reservation, please call us at 407 234-6611 or email us at ray@southernghosts.com at least 24 hours in advance. Important note, we need at least 48 hours for private groups. This can only be purchased by groups of ten or more. There are no refunds if you don't call at least 24 hours in advance to cancel.